In Malaysia, we often see Malaysian owners opening Italian restaurants or Indian restaurants, but we rarely see people of other nationalities opening a Malay- or Indonesian-inspired restaurant. We got to experience this with Ayam Penyet Best at Summit Mall USJ, which is the hard work and effort of Iranian couple Omid and Helen. When we got there, we noticed that there was quite a crowd of people tucking into their lunches, and the aroma was mouth-watering! 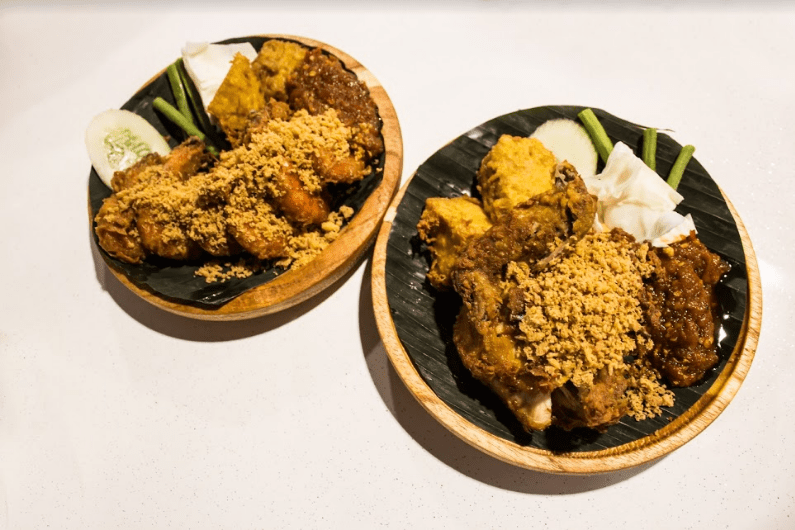 Being big ayam penyet fans ourselves, we were curious to see if the dish would live up to our expectations. Boy, were we in for a treat! The Ayam Penyet Best crew served us five main dishes: Udang Penyet with rice, Ayam Penyet with Rice, Nasi Lemak Penyet, Soto Ayam and Laksa. Being big fans of seafood, we quickly dug into the Udang Penyet, which was also Helen’s personal favourite – basically crispy deep-fried prawns, complemented with sambal and soup with rice. The Udang Penyet was jaw-dropping! So crispy and crunchy, with the flavour of the batter perfectly seeped into the fresh prawns, it was a treat for our tongues. The star of the dish was, however, the small dish of sambal which was made with magical chilis. The sambal was super spicy, yet we were able to taste the flavour in it. Marvellous! The Ayam Penyet we tried was tender, crispy and juicy all at the same time. There’s a reason the Ayam Penyet is their specialty! The portion was generous, and can be shared between two, so take note! 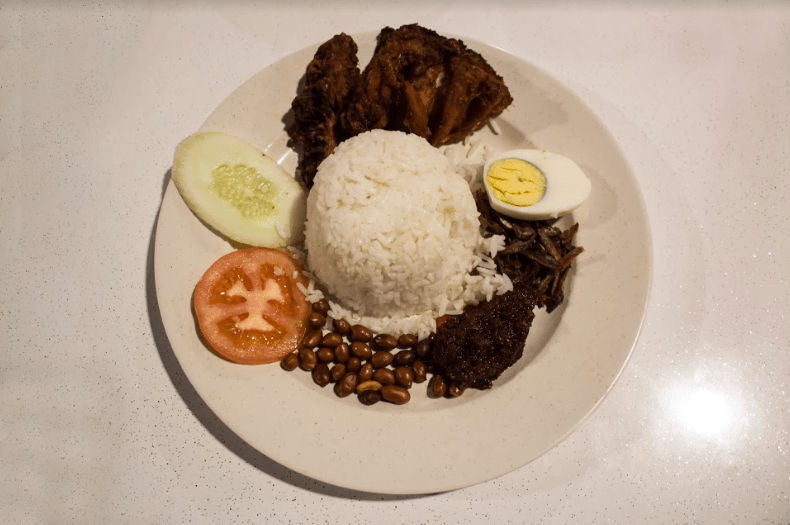 Their Nasi Lemak Penyet, though, is a perfect portion for one, and comes with the usual suspects – sambal, peanuts, anchovies, cucumber and fried chicken. It was fairly mild so even those who aren’t big chili fans can enjoy it! Next up: the soupy noodles. 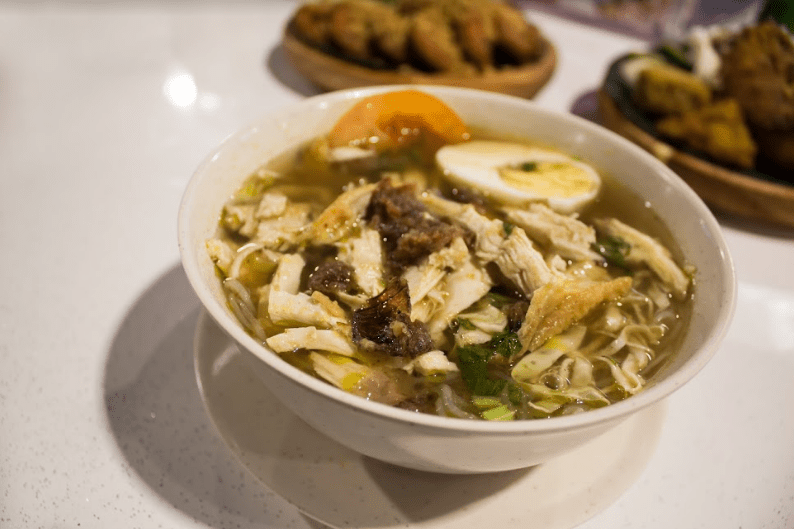 We got to try 2 of Ayam Penyet Best’s most popular ones: Soto Ayam and Laksa. It was my first time having Soto Ayam, and I was very impressed! The soup base was flavourful and there was plenty of chicken and noodles for it to be a filling entree. 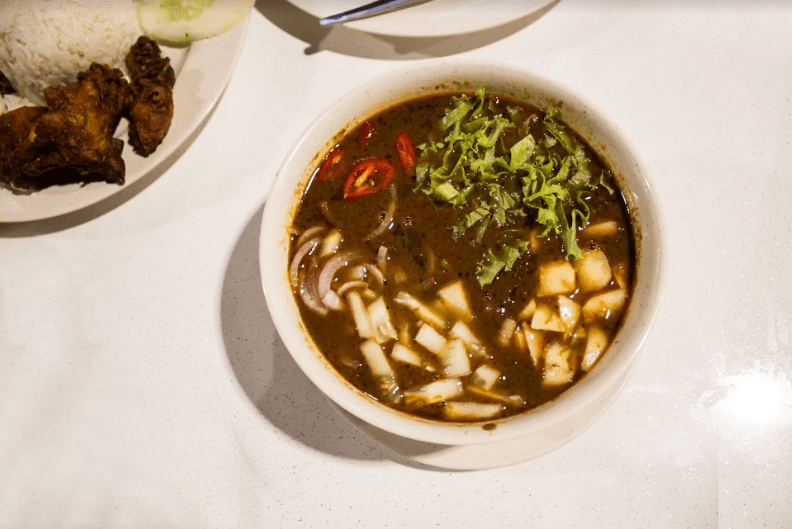 The Laksa was a different level though – it was thick and filled with fish flakes and chili. We definitely enjoyed it! To those who have yet to try any sort of ayam penyet dish, try Ayam Penyet Best – you’ll thank us later! Address: Lot lg 37. & 39B, Lower Ground Floor, Summit Subang USJ, Persiaran Kewajipan, 47600 Subang Jaya.